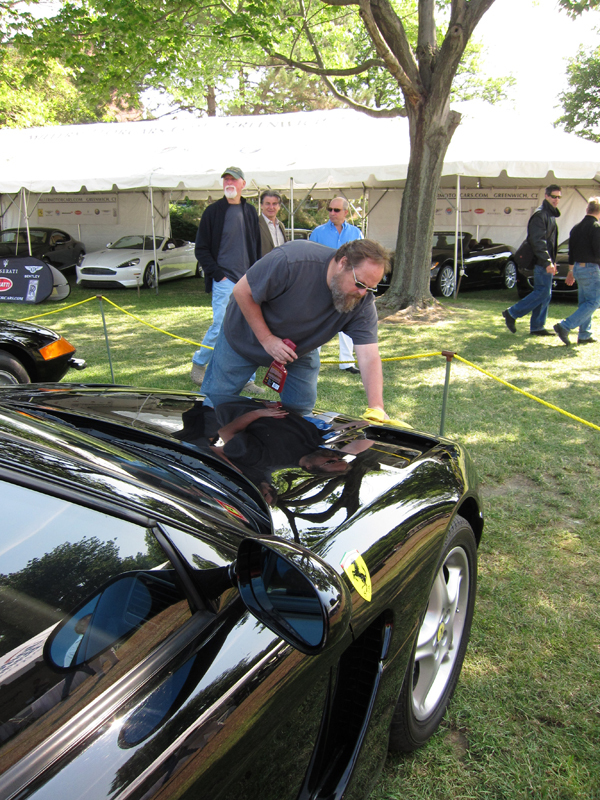 I've been an artists rep for over 25 years, but I've loved cars since I was a little kid. 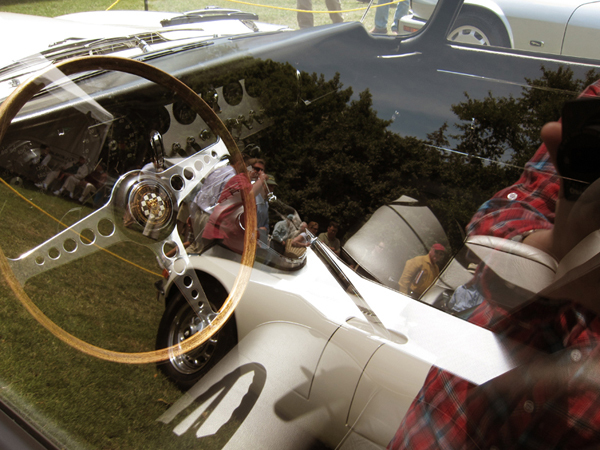 I've always looked at beautiful cars as true objects of art. 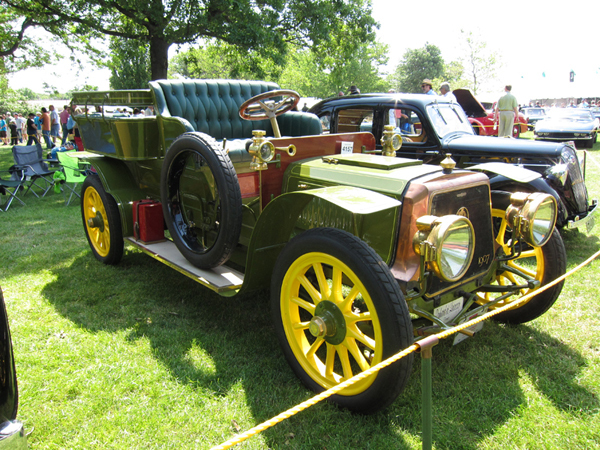 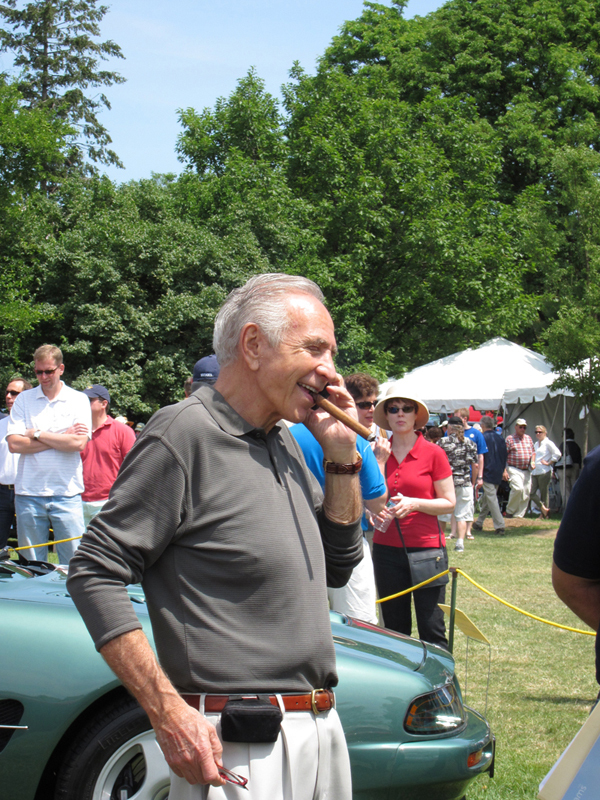 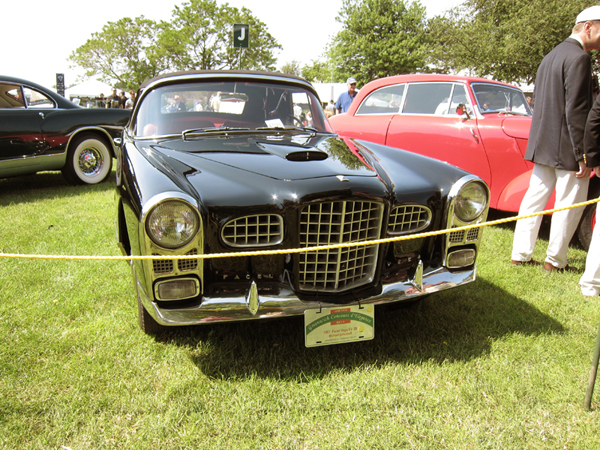 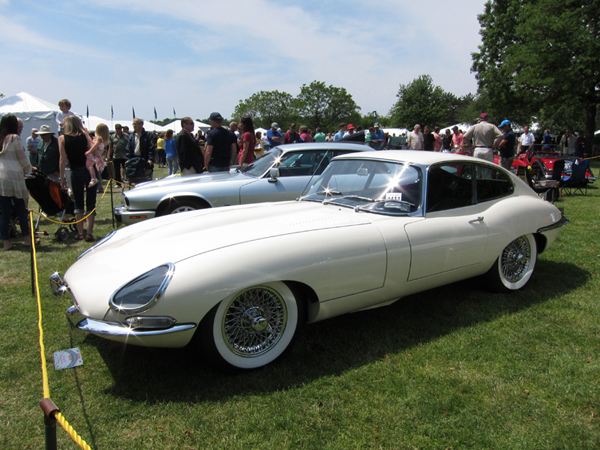 Every year in early June, I attend and sometimes participate in my local classic car show, the Greenwich Concours d'Elegance. 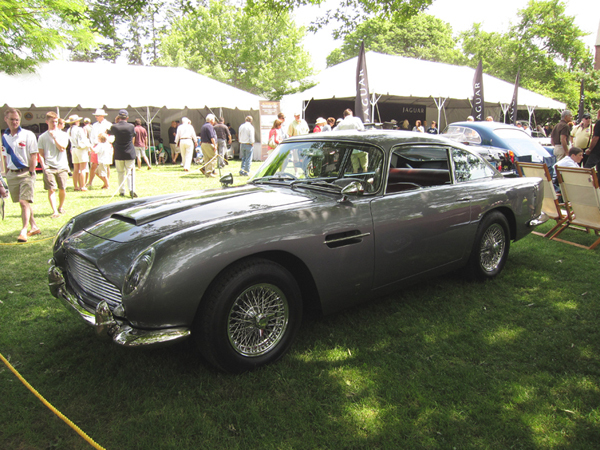 I thought I would share with you some pictures that my assistant, Kay, took over this past weekend. 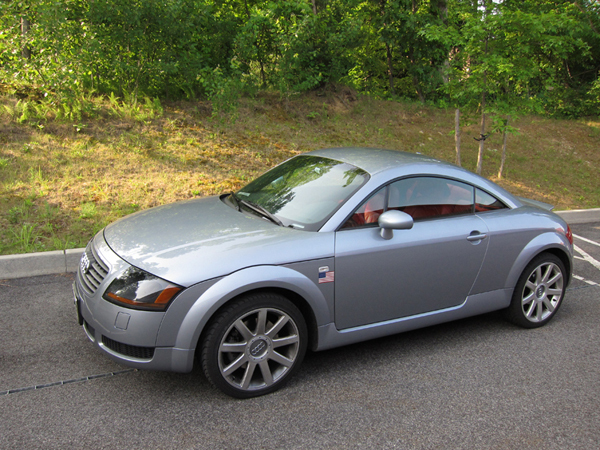 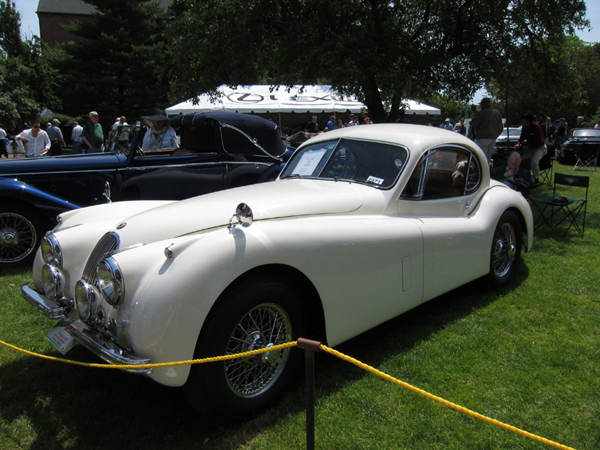 I picked out what I think are examples of significant or beautiful automobiles. 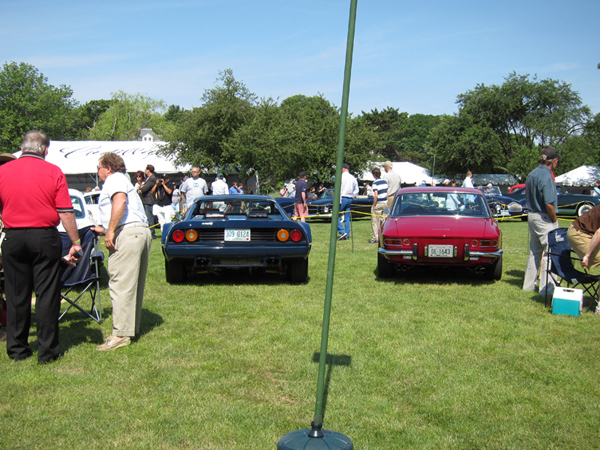 I would like to share with you my passion and enthusiasm for these lovely metal masterpieces. 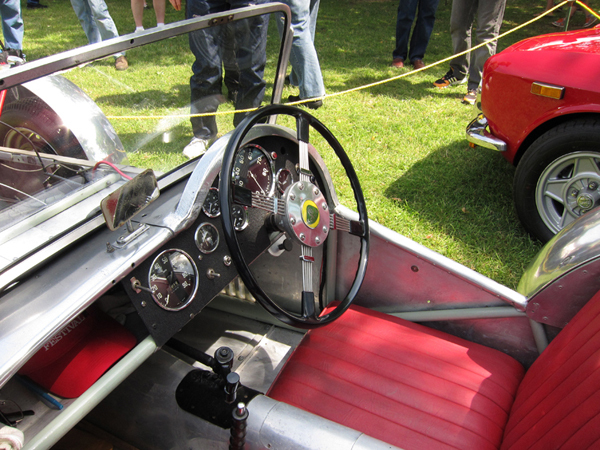 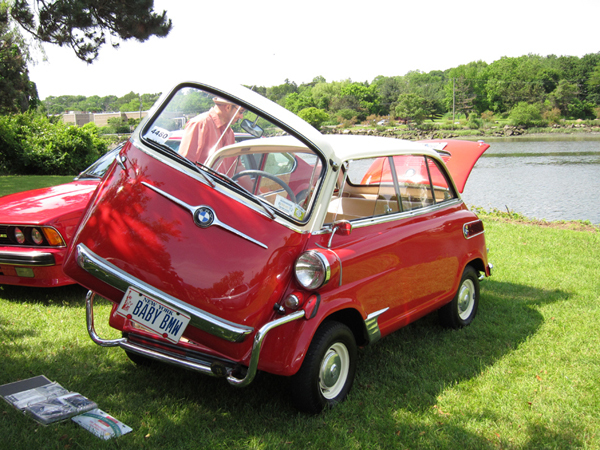 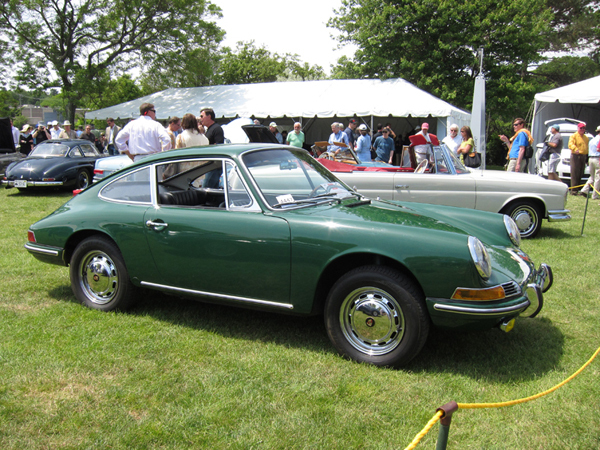 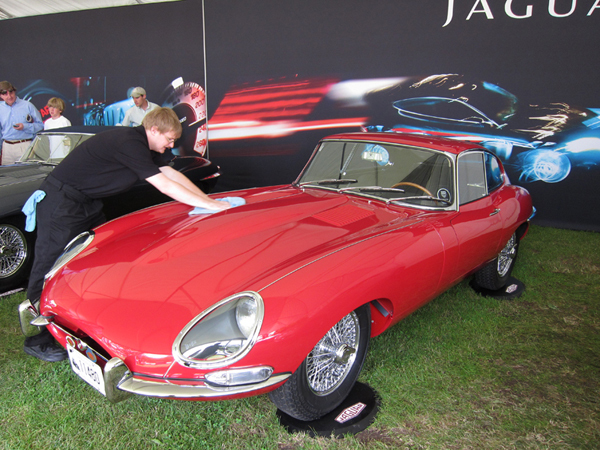 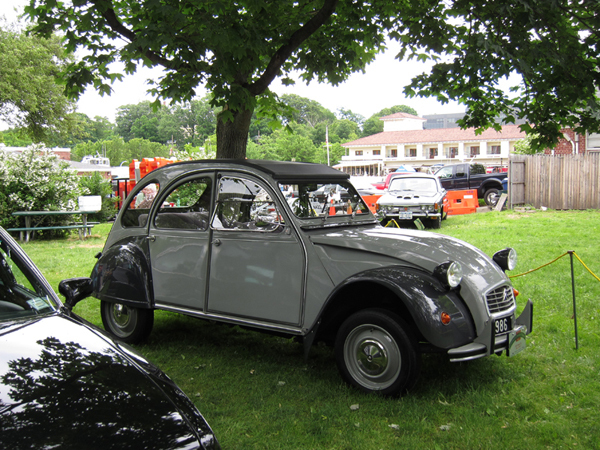 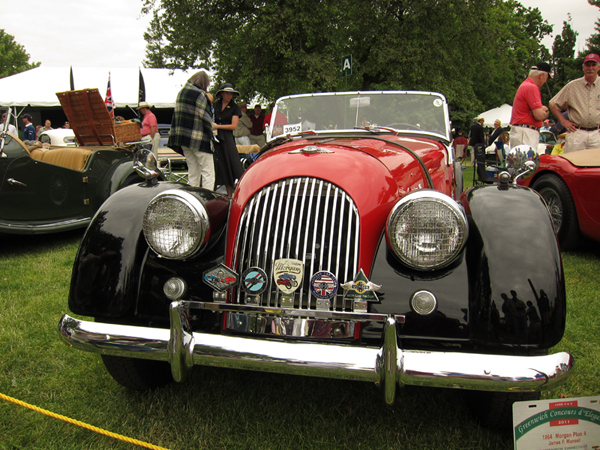 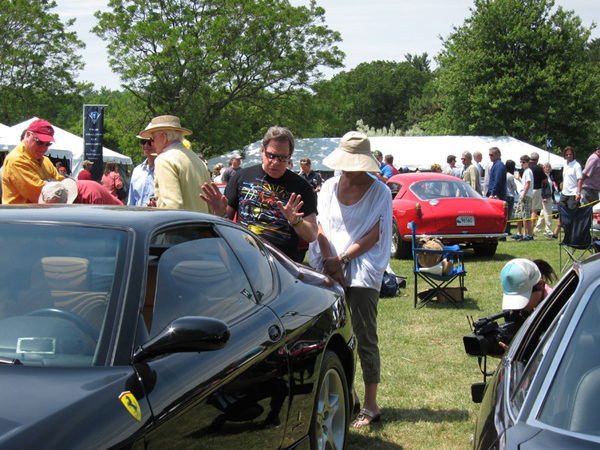 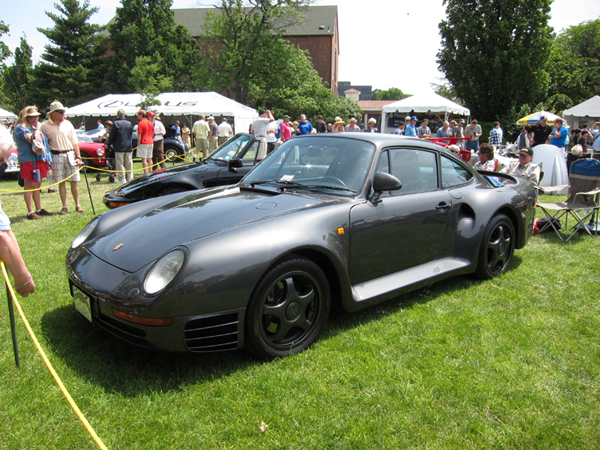 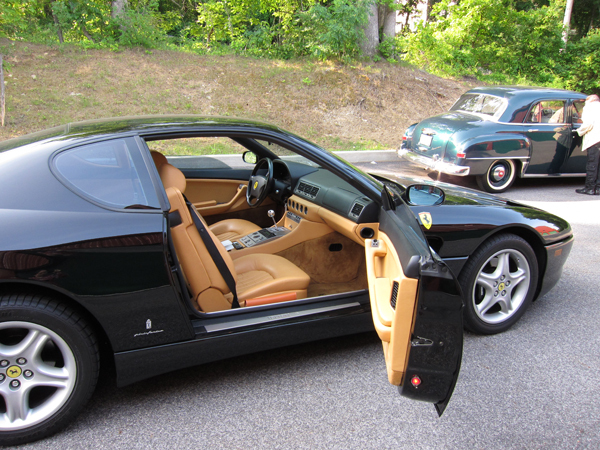 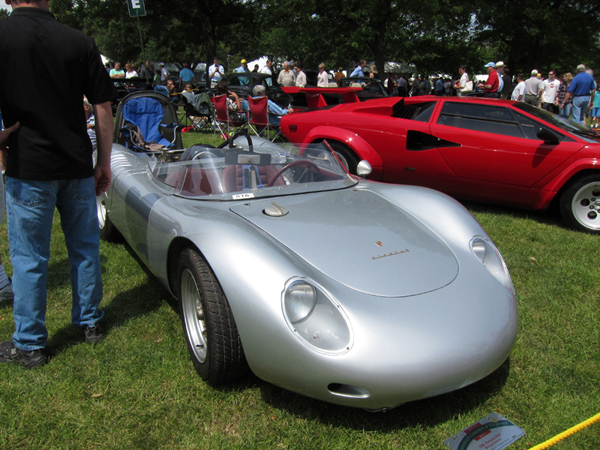 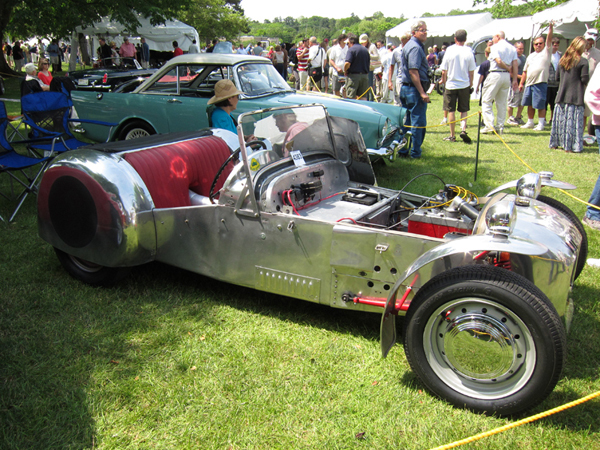 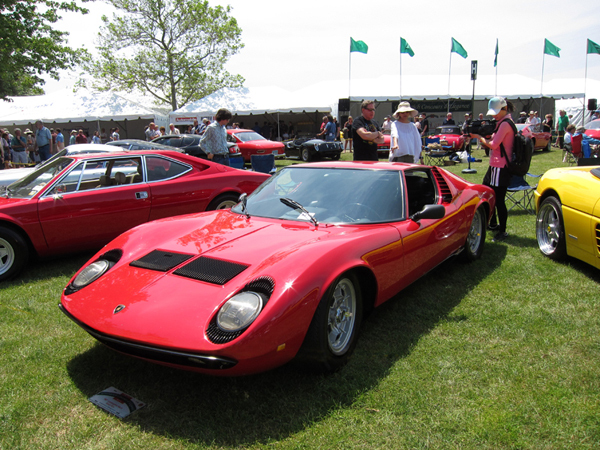 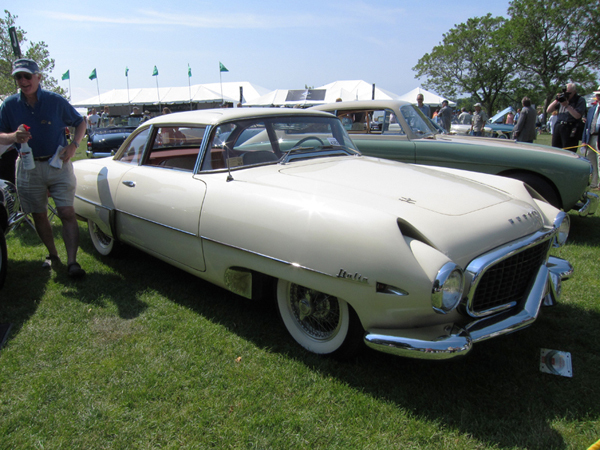 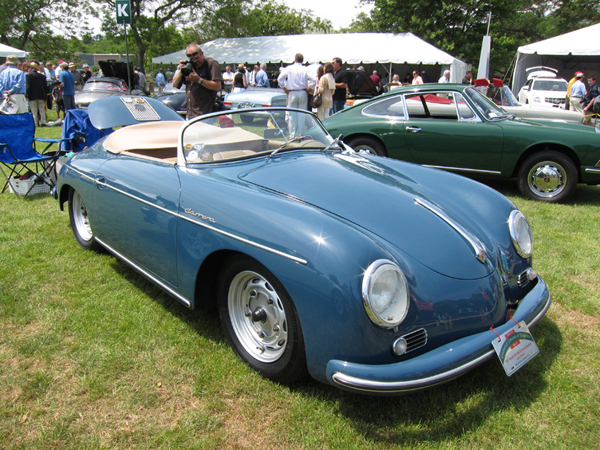 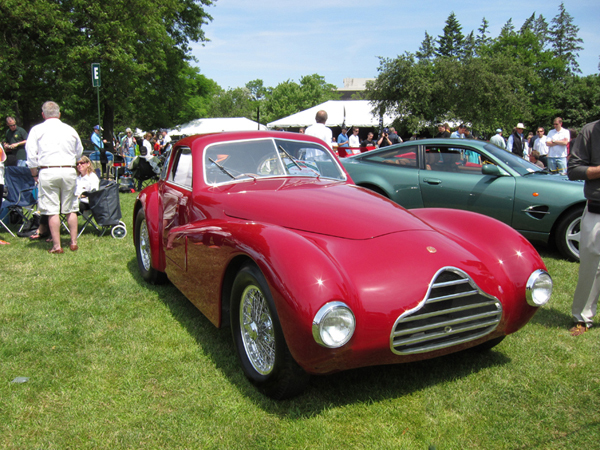 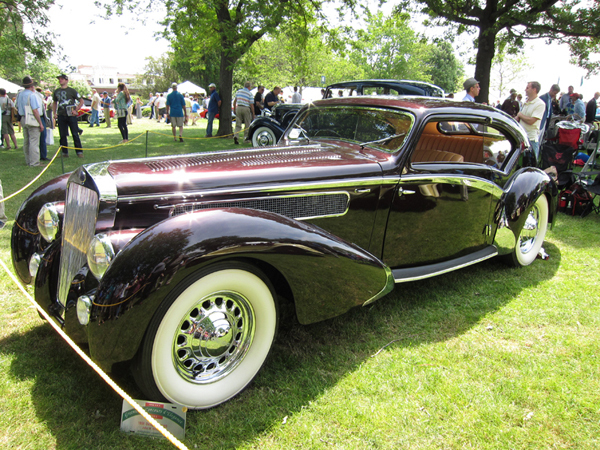 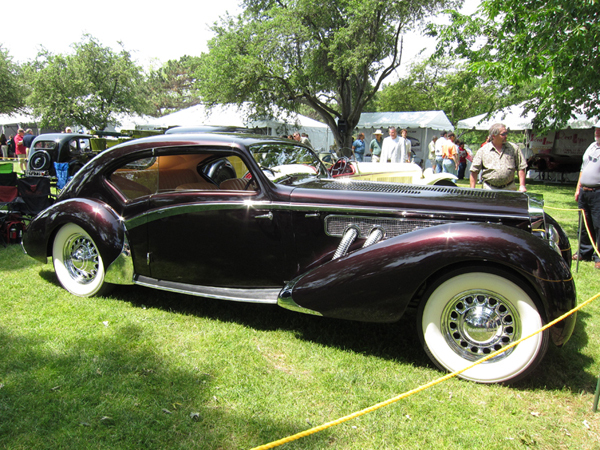 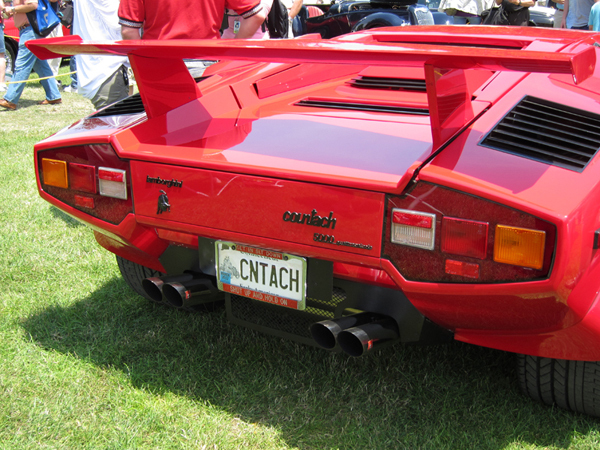 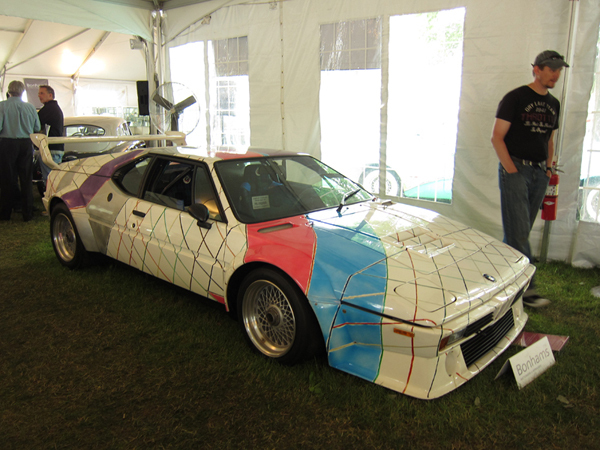 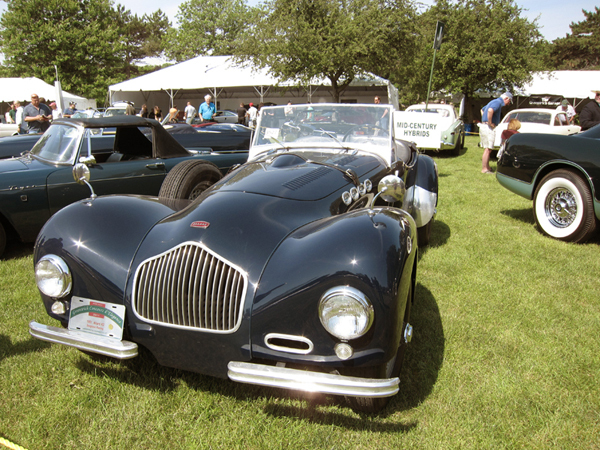 from the Collectors Garage to the Greenwich Concours d'Elegance, CT.
We are on the field and people are settling in. 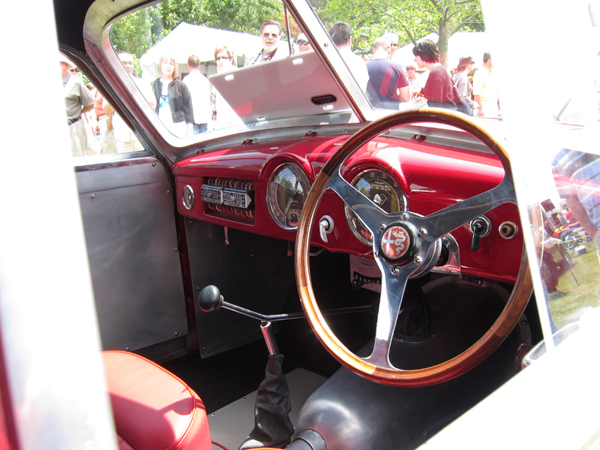 This is the Italian circle. 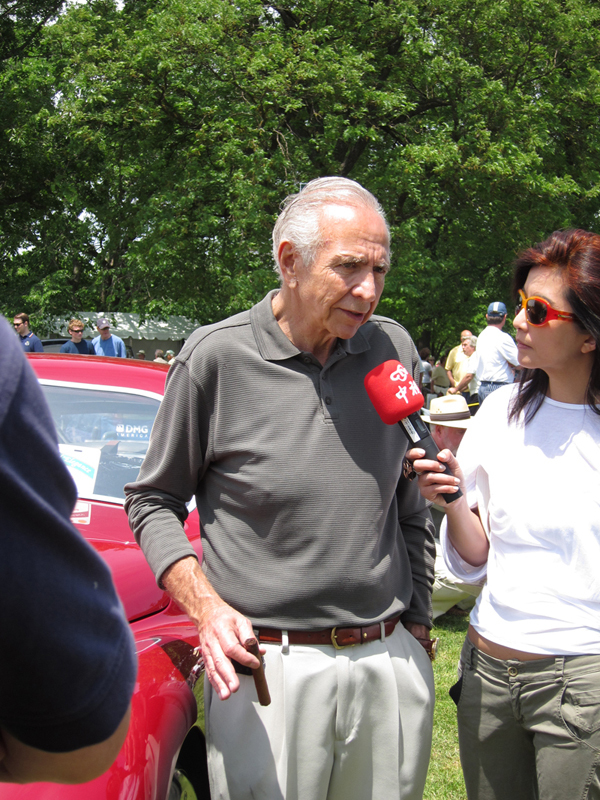 I'm explaining to Jessica Kung from Chinese Television in Taiwan car stuff. 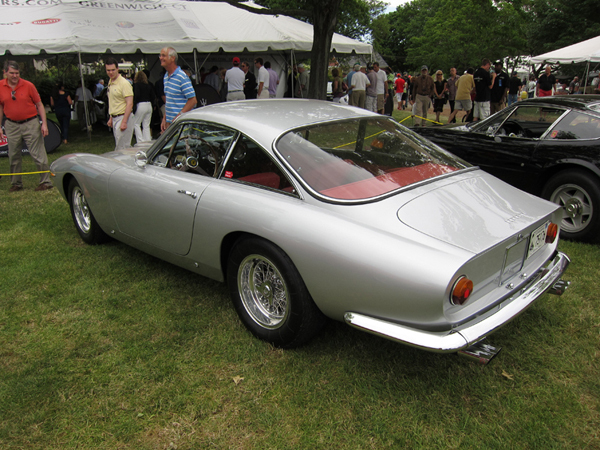 (To my mind, one of the most beautiful designs ever.